Crib size: 36" x 43 1/2"
Twin Size: 66" x 81"
Queen Size: 81" X 96"
Exchange 2" strips with your friends! Cut up all your scraps into 2" strips..... any length!!! You can use any scrap as small as 2" x 2". The block looks like a log cabin block, but it is easier than a log cabin. Get the same effect with half the work! You will be amazed at how many quilts you can make once you get started. It is fun to see how the fabrics come to life. Even the ugly ones that you wondered why you bought them! You'll love freeing up your stash so you can buy more fabric. **If you wanted to use jelly rolls which are 2 1/2", you could use them also instead of the 2" strips. 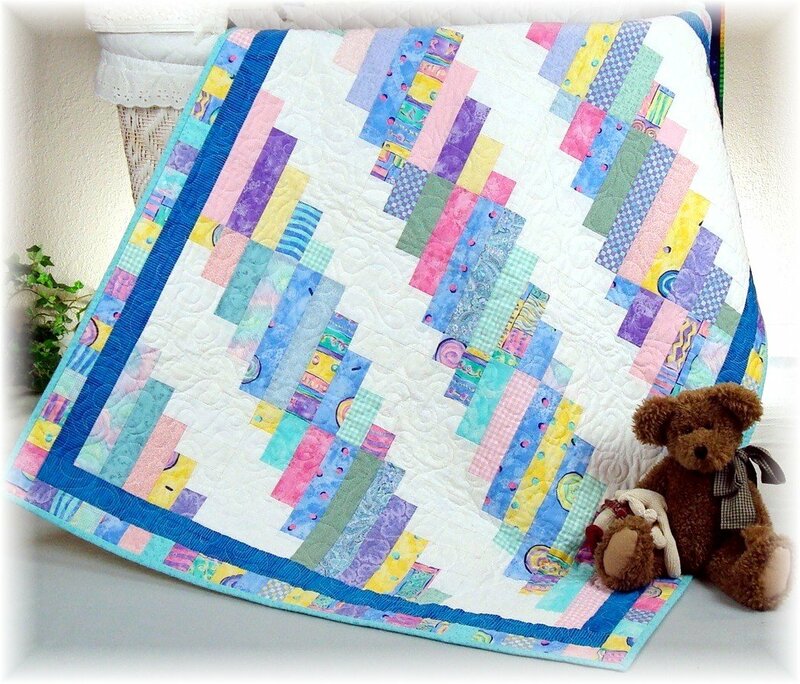 It would just make your blocks a little bigger and your quilt a little larger!